Benedict is an experienced Massage Therapist with training in Remedial Massage, Sports massage, Shiatsu, Tui Na, Cupping, Manual Lymphatic Drainage and Thai Massage modalities. He has explored many different styles of both massage and body movement practices with a keen interest in body structural balance and corresponding mental wellness – which go hand in hand. Current training passions are Aikido and Acro Yoga. 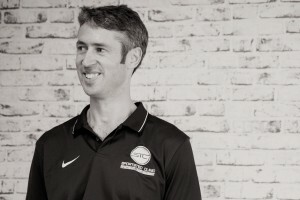 Starting a committed practice in Sydney in 2009, he then moved to Canberra to continue his practice from 2010 where he worked with an international triathlete team (coached by Darren Smith) for 6 months whilst they trained here in Canberra, learning much from their changing massage requirements with guidance from their Physiotherapist. A number of these athletes competed in the 2012 Olympic Games in London. Benedict has also massaged as part of Physio treatments at Yass Wellness Centre during 2013. This furthered his experience in a variety of conditions such as pre and post surgery treatment. Age care is another area Benedict enjoys working in and has been at Horton House retirement home since 2012 with a particular focus of mobility improvement and pain management.